No 6 [Balmenach] & Irish Rail 3177TL, Aviemore, Thurs 28 May 2015. 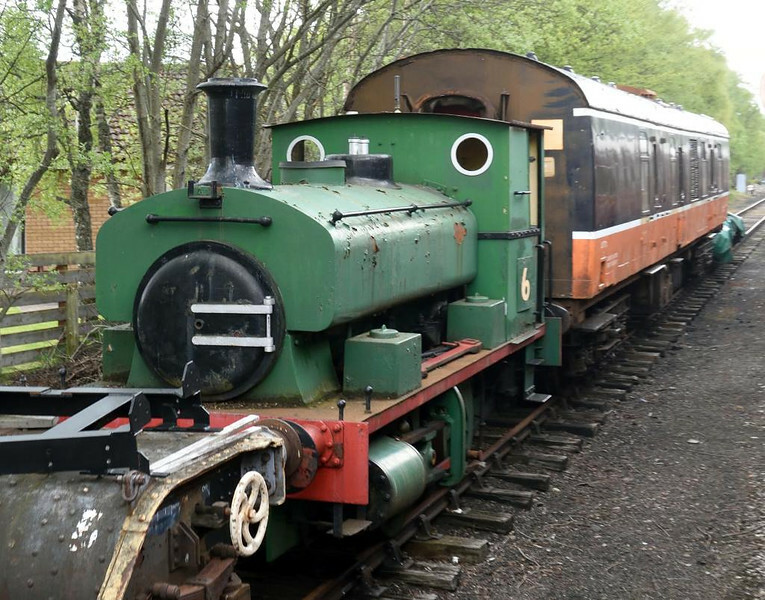 No 6 is Barclay 0-4-0ST 2020/ 1936. The coach, still in CIE colours, is a steam heating van with boiler, originally built for BR as a brake second corridor (BSK).